LAS VEGAS, Nev. – Eaton and Cummins have added a new torque rating to their SmartAdvantage powertrain offering. A new 1,850 lb.-ft. torque capacity transmission is now available for linehaul applications of up to 80,000 lbs GCW in the US and Canada, the companies announced at the American Trucking Associations Management Conference & Exhibition. 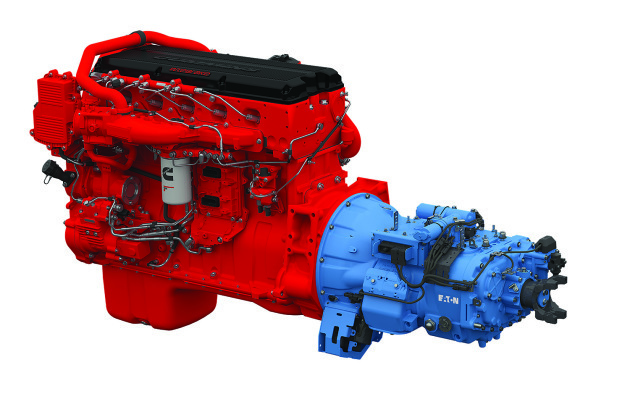 Built on the current Eaton and Cummins platform, the SmartAdvantage powertrain will be offered as a multi-torque model that is compatible with Cummins SmartTorque2 functionality available in ISX15 SA and X15 SA engines rated up to 500 hp and 1550/1850 lb.-ft. of torque, Eaton says.